I’m currently building prototypes of the Appalachian dulcimers I will be producing. First I come up with a concept of what I expect from the instrument. I prefer an even response and voicing throughout the entire range of the instrument; every string at every fret should speak well. There is a unique quality in the voice of a well made dulcimer that is both warm yet “hollow.” The tonal color is somewhat similar to a bouzouki or saz. I also prefer an instrument that has a long, even sustain. Dulcimers are a relatively quiet instrument. The basic structure of the instrument is responsible for both the tonal color and the lack of strong projection. I have found that most attempts to make very loud dulcimers require compromising the tonal color I prefer. I am building dulcimers that strike a balance between the preferred tone and a reasonable amount of volume. You can always use a microphone or a pickup to make an instrument much louder but it will only sound as good as it does when played acoustically. Dulcimers also have some inherent structural problems that I correct during the design process. The long fretboard running the length of the instrument is prone to warping. This can cause problems with the action and intonation. The fretboards on my instrument are designed to be light, stiff and stay true. V-joints are lovely! This is an old post and I’m not dong head stock joints this way at this time. 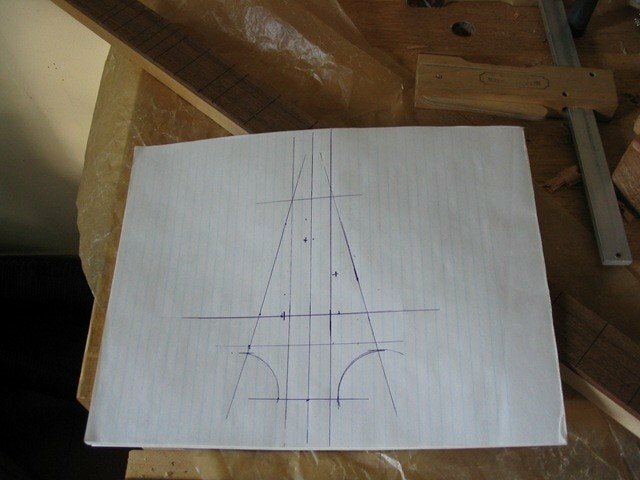 I considered a v-joint but it would have been a lot of work and with the low string tension of a dulcimer it didn’t seem necessary. If you make one with a v-joint send me a picture! I usually make guitars, but this lady friend of mine talked me into building her a dulcimer. Looking at the fretboard or neck, I wondered if you had considered doing a V-joint at the peg head? The old luithers used this joint very successfully, however it can be a difficult joint to make so only a few handmade guitars have a true V-joint neck. Happiness is in the quiet, ordinary things. A table, a chair, a book with a paper-knife stuck between the pages. And the petal falling from the rose, and the light flickering as we sit silent.